Society is developing fast now changing our life every single second. Scientists come up with more and more ambitious projects, employ more and more advanced technologies. Nanotechnology is believed to be one of the most effective tools that will enable sciences to accelerate dramatically. Brainstorm for the words or phrases you associate with nanotechnology. Can you define what nanotechnology mean? Write down your explanation of what nanotechnology is and compare your vision with your partner’s. Do you think nanotechnology can be applied in real life? What areas can it be applied in? What applications of nanotechnology can you name? Read the text and see if your answers were correct. Nanotechnology is one of the buzzwords today. One can encounter it in materials related to a wide range of topics. Can it really affect our life so much? Let’s look into the issue. So what exactly is nanotechnology? Nanotechnology is science, engineering and technology conducted at the nanoscale, which is about 1 to 100 nanometers. Nanoscience and nanotechnology deal with the design, characterization and application of extremely small things and can be used across all the other science fields such as chemistry, biology, physics, materials science and engineering as well as humanities. Nanotechnology is not just a new field of science and engineering but a new way of looking at things and studying them. 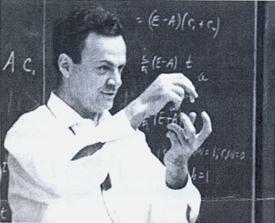 An American physicist Richard Feynman is considered the father of nanotechnology. In 1959 he described a process in which scientists would be able to manipulate and control individual atoms and molecules. It was not until 1981, with the development of the scanning tunneling microscope that could “see” individual atoms, that modern nanotechnology began. - There are 25.4000000 nanometers in an inch. - A sheet of newspaper is about 100000 nanometers thick. Nanoscience and nanotechnology involve the ability to see and control individual atoms and molecules. Nanotechnology has been shown to be one of the primary reasons that so many things in life are being improved on and enhanced. It is also revolutionizing the way in which things are manufactured, processed and much more. Today’s scientists and engineers are finding a wide variety of ways to deliberately make materials at the nanoscale to take advantage of their enhanced properties. Such as higher strength, lighter weight, increased control of light spectrum, a greater chemical reactivity than their larger-scale counterparts. In the future nanotechnology will let us achieve the ultimate in precision: place almost every atom in exactly the right location; make molecularly intricate structures as easy and inexpensively as simple materials; reduce the manufacturing costs. Current applications of nanotechnology involve production and use of nanoparticles as well as new nanostructuredmaterials including metals, oxides and other inorganic nanotubes and fullerenes and their use in technological processes; the making and using of novel materials for electronics and active surfaces (for example, self-cleaning windows0, to name a few. The scientific opportunities for Chemistry to make important contributions to nanoscience are great. In particular, one should mention 1) syntheses of nanostructures; 2) invention and development of materials whose properties depend on nanoscale structure; 3) understanding the molecular mechanisms of functional nanostructures in biology (DNA, the cell); 4) tools and analytical methods. Developing new nanostructures requires knowing what they are. Physical and Analytical Chemistry will help to build the tools that define these structures. Presently there is a lot of focus world wide on chemical nanotechnology and it is bringing the chemists closer in other disciplines including physics and biochemistry, as well as materials scientists, engineers and industrialists. Modern life and specifically the industry depend upon various man-made processes and products. Nanotechnology affects all these processes not only in terms of its potential in bringing out new products or substituting certain products but actually in much more fundamental ways. It is therefore important to comprehend the social, educational, environmental benefits of chemical nanotechnology. At the same time it is also imperative to know its implications in the health, safety and environmental areas. Ex.1. Say whether the following statements are true or false. Correct the false ones. 1. Nanotechnology is science engineering and technology conducted at the nanoscale which is about 1 to 1000 nanometer. 2. Nanoscience is a cutting-edge technology which can be used only by all the sciences but humanities. 3. 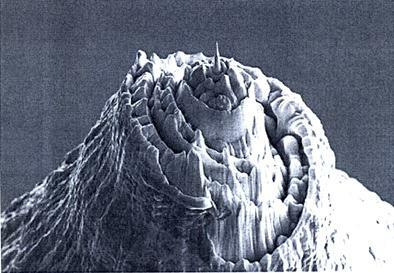 Modern nanotechnology began with the advent of powerful electronic microscopes in 1959. 4. One nanometer is a millionth part of a meter. 5. Nanotechnology allows to make materials at the nanoscale by manipulating individual atoms and molecules. 6. Nanotechnology is a completely safe technology, it doesn’t involve any risk for health and environment. 7. Nanotechnology has a great potential for technical sciences but it is not very relevant to humanities like history, culture, philosophy, and so on. Ex.2. Match the words and expressions in the left-hand column with their definitions in the right hand column. They appear in the text you have just read. Ex.4. Complete the following sentences using the text. 1. Nanoscience and nanotechnology are the study and … of … small things. 2. An American Physicist Richard Feynman described a … in which scientists would be able to … and … individual … and … . 3. In the future nanotechnology will let us achieve the … in precision: place almost every atom in exactly the … … . 4. It is also important to … the social, educational and environmental … of chemical nanotechnology and imperative to know its … in the health, safety and … areas. Ex.5. Find and write out the key idea of each paragraph. Ex.6. Discuss the following questions in groups. Make your own research and find the necessary information. 1. Do you agree that nanotechnology is not just a new field of science and engineering but a new way of looking at things and studying them? 2. Can nanotechnology ultimately change people’s life in every possible way? 4. In what way can Chemistry contribute to nanoscience? 5. What do you know about nanochemical engineering? 6. What industries have already made use of nanotechnology? 8. What are the risks of nanotechnology? Do you believe (that) it can go out of control? What are the possible effects of nanoparticles on health, privacy, civil liberties? 1. Nanotechnology has a huge potential and can change our life significantly. Society should push nano-related research. 2. The importance of nanotechnology is very much exaggerated. Society needs to focus on real life problems instead of investing money in unrealistic projects. Current applications of nanoscale materials and their potential in the future. The Gerund is a non-finite form of the verb which has both noun and verb functions. Indefinite Gerund expresses simultaneous action with the main verb. Perfect Gerund expresses the action preceding the action expressed by the main verb. In the negative form The Gerund is used with the preposition without: saying – without saying. 1. Reading books is useful. Making these experiments may be a time-consuming task. 2. Their task was isolating this radioactive substance. 3. I remember havingdiscussed (discussing) this problem recently. We are fond of working in the laboratory. 4. I don’t like his manner of delivering lectures. The barometer is an instrument for measuring pressure. 5. In copying the text he made a few mistakes. After leaving school I went to the University. We enrich our knowledge of chemistry by making experiments. He translated the text without consulting the dictionary. a subject a part of a predicate a direct object a prepositional object an attribute (usually with the prepositions of, for after the noun an adverbial modifier of time (with the prepositions in – при, в то время как on (upon) – по, после after, before an adverbial modifier of manner (with the prepositions by, without, instead of) Читать книги полезно. Выполнение этих опытов может оказаться трудоемким занятием. Им требовалось получить это радиоактивное вещество. Я помню, что мы недавно обсуждали эту проблему. Нам нравится работать в лаборатории. Мне не нравится его манера читатьлекции. Барометр – это прибор для измерения давления. Переписывая текст он сделал несколько ошибок. Закончив школу, я поступил в университет. Мы обогащаем наши знания по химии, проводя опыты. Он перевел текст, не прибегая к словарю. After the verbs remember, excuse, forgive, thank, after the prepositions on (upon), after, without an Indefinite Gerund is used instead of a Perfect Gerund. On seeing the train he hurried to the platform. Увидев поезд, он побежал к платформе. After the verbs want, need, deserve, require, be worth the Gerund is used in the Active form though it is passive in meaning. The Gerund is always used after verbs and nouns with prepositions. I am used to living on my own. I used to walk a lot. Раньше я много ходил пешком.